Product #751 | SKU 2-19-0009 | 0.0 (no ratings yet) Thanks for your rating! 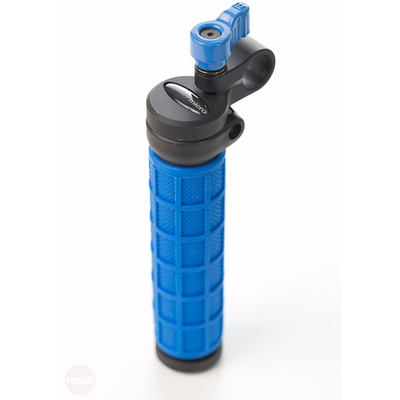 The Redrock Micro microHandGrip (Blue) combines a rubberised handgrip with an integrated all-metal rod clamp and thumb screw to provide a comfortable, non-slip handle. Attaches to 15 mm rod/rail support systems such as Redrock's microShoulderMount and its DSLR support rigs.